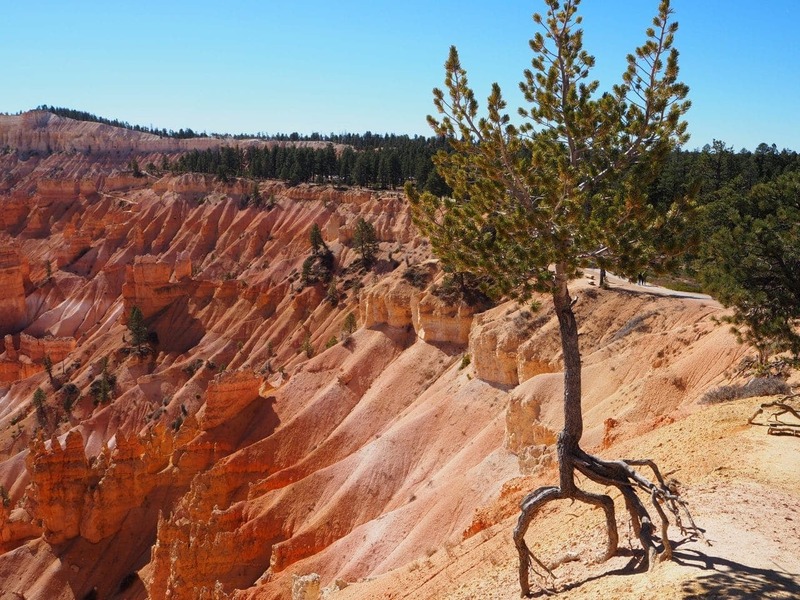 Bryce Canyon National Park is located in southwestern Utah and encompasses over 35,000 acres. It is actually not a canyon, but a giant group of natural amphitheaters. 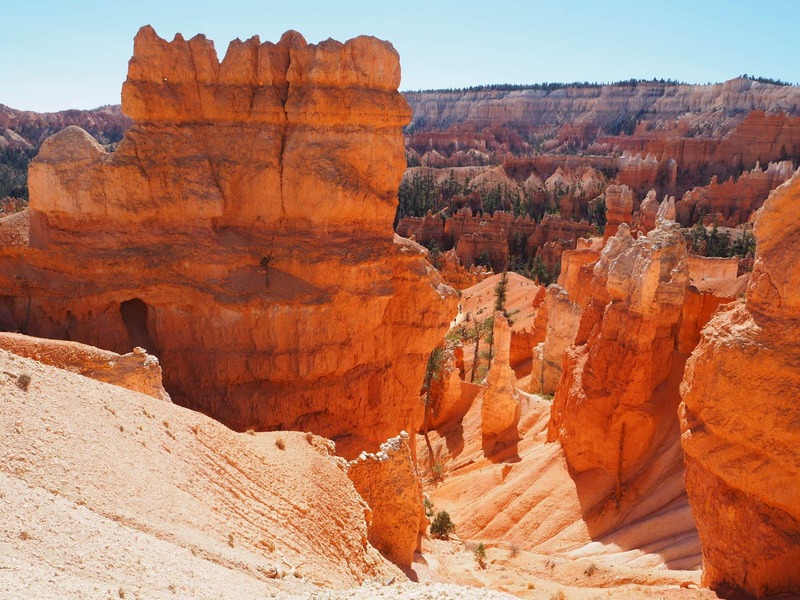 Geological features called hoodoos are what make this park so special. The hoodoos are odd-shaped pillars of rock formed by erosion. 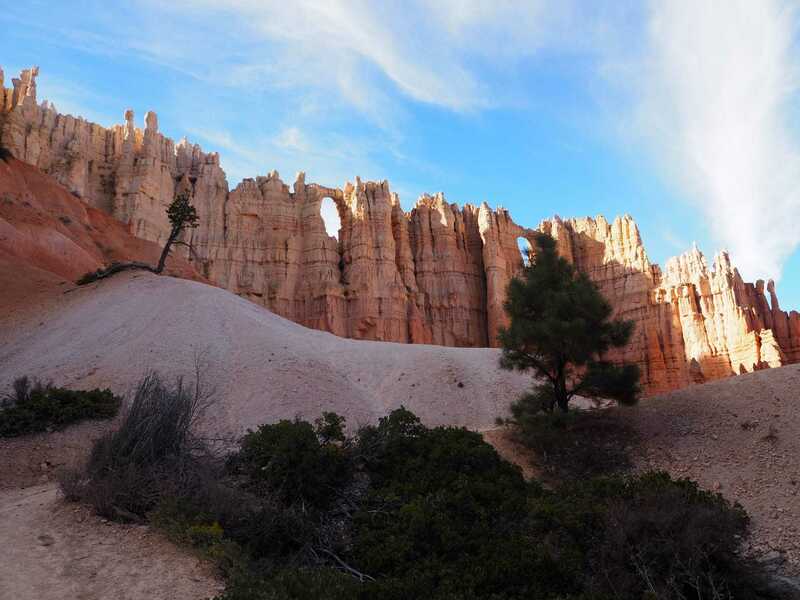 Hoodoos can be found on every continent, but Bryce Canyon has the largest collection in the world! 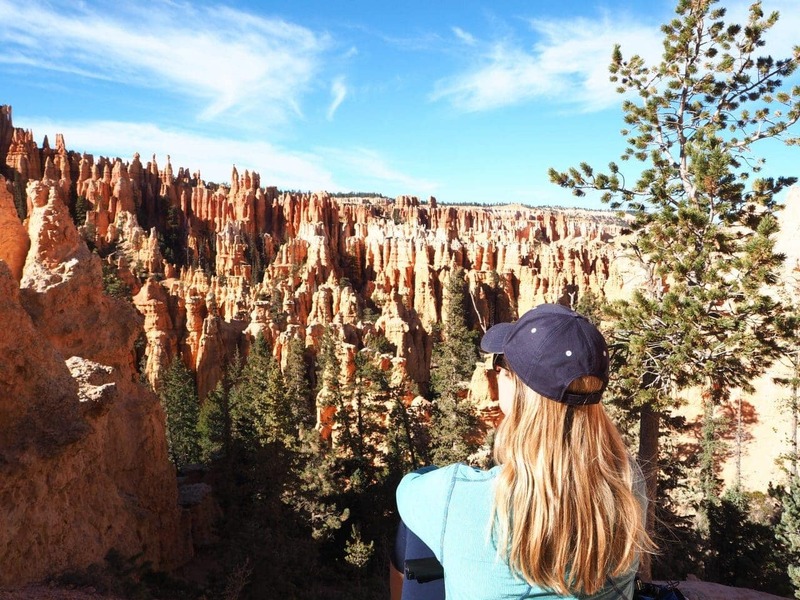 The park’s most popular attraction is the Bryce Amphitheater which contains the majority of the hoodoos. 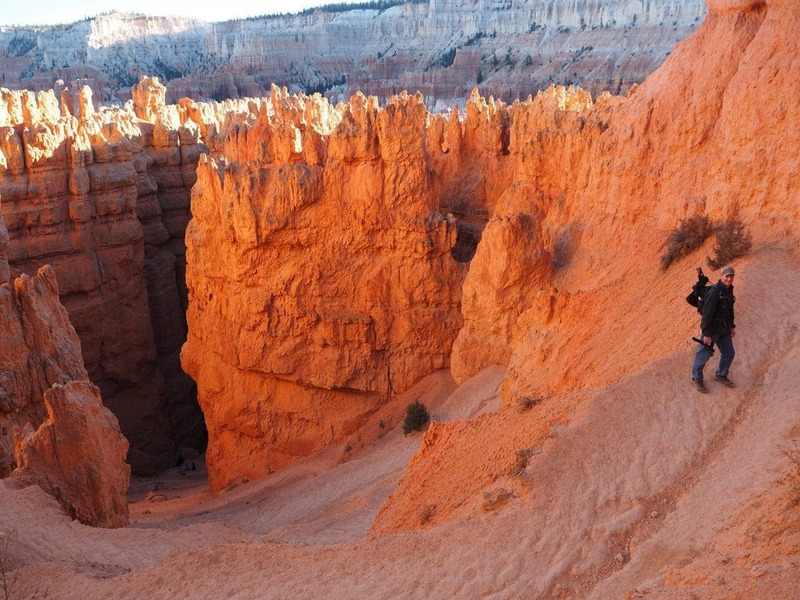 Bryce also offers an 18 mile scenic drive providing multiple vistas and viewpoints along the way. 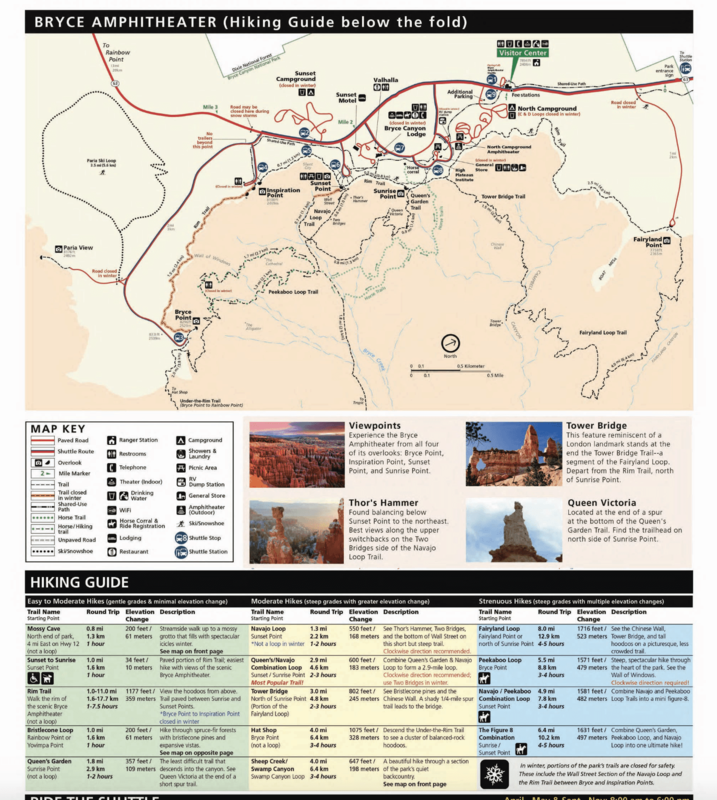 Download the Bryce Newspaper for park information and activities within Bryce Canyon! We were in Panguitch for a week now. It was Saturday so we needed to take advantage of the weekend for a longer and more adventurous hike. 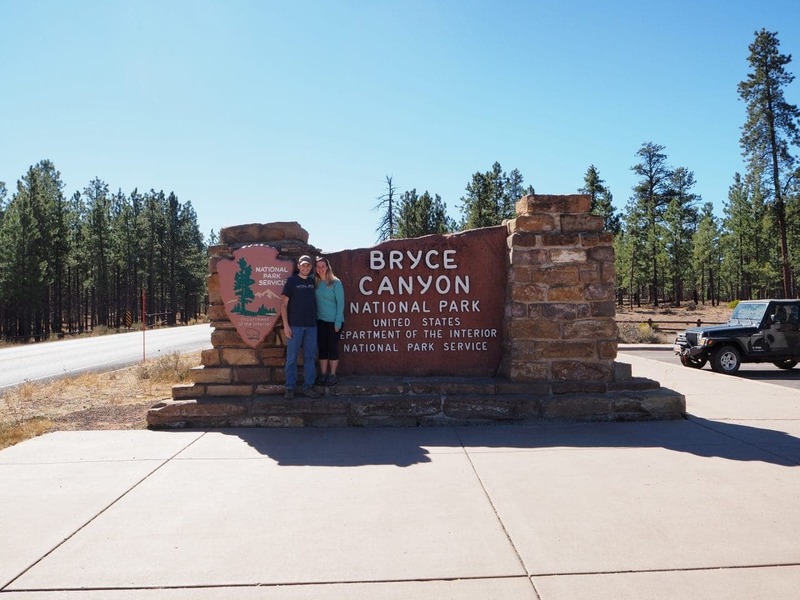 Since we decided to to focus on Bryce Canyon, we knew that we wanted to complete as many of the hikes as possible. 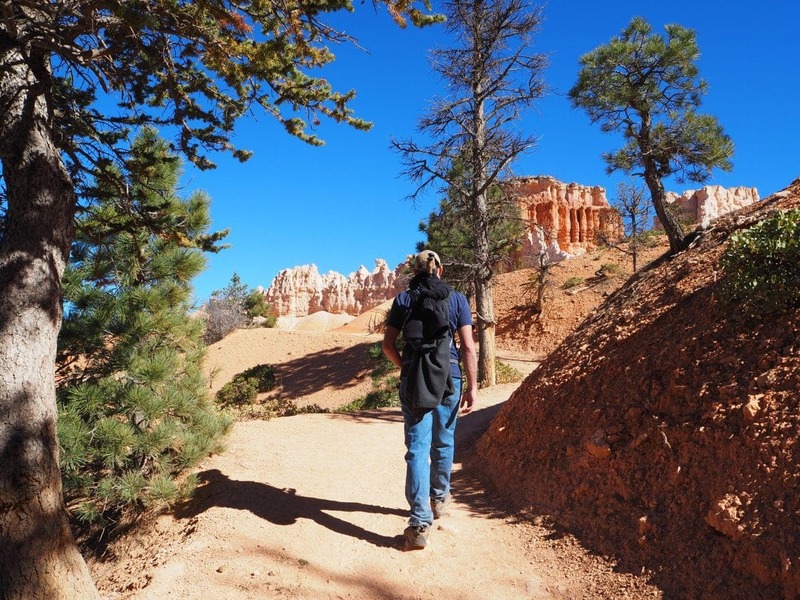 There are 15 hikes listed on the park hiking guide. By the end of the trip we checked off 10 of the 15. Several of the smaller hikes can be done within the longer hikes. After studying the park guide, we decided to add the following hikes to our to do list: Mossy Cave, Fairyland Loop, The Figure 8 Combination and Riggs Springs Trail. We also planned to attend two ranger-led activities; a full-moon hike and the astronomy program. We chose to do the The Figure 8 Combination hike first. 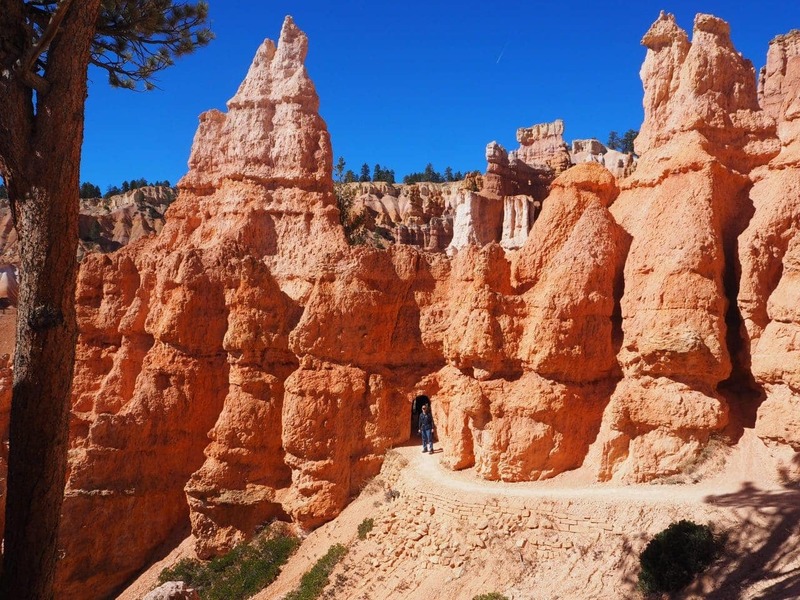 It was the perfect introduction to learn more about the hoodoos in Bryce Canyon National Park. 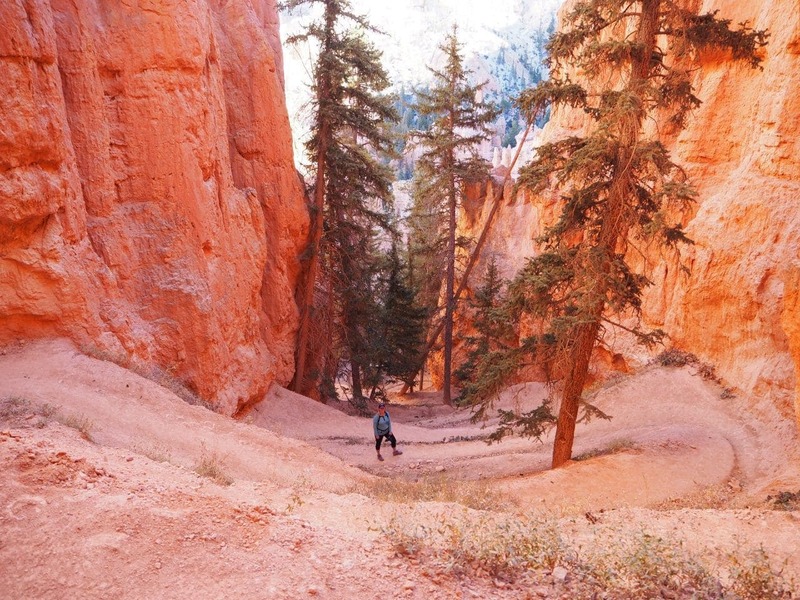 This hike combines the Queen’s Garden, Peekaboo Loop and Navajo Loop trails. The hike is about 6.5 miles with just over a 1600 foot elevation change. The park guide suggests it’s a 4-5 hour hike and rates it as strenuous because of the steep grades and multiple elevation changes. Our hike was absolutely amazing! The weather was perfect, the views were beyond belief and this hike was a great way to explore a large part of the park. Since this loop encompasses other popular hikes, there were times that the trail was busy and there were times when it was just us. It was a nice mix, but we were also there in October so it wasn’t peak season. The Figure 8 hike is rated difficult by the park guide. There were a couple of sections with very steep switchbacks, but I’d say the majority of the hike is more moderate. You’ll find quite a variety of incline and decline along the trail which makes it very manageable. There are plenty of points where you will just want to stop and enjoy the views. The vastness of the amphitheater is a lot to take in and it’s really interesting to stop and notice the details of the rock, erosion and your surroundings. What is a hoodoo? Besides a word that’s funny to say, a hoodoo is a tall skinny spire that protrudes from the bottom of an arid basin. Hoodoos are formed through two weathering processes; frost-wedging and rain. 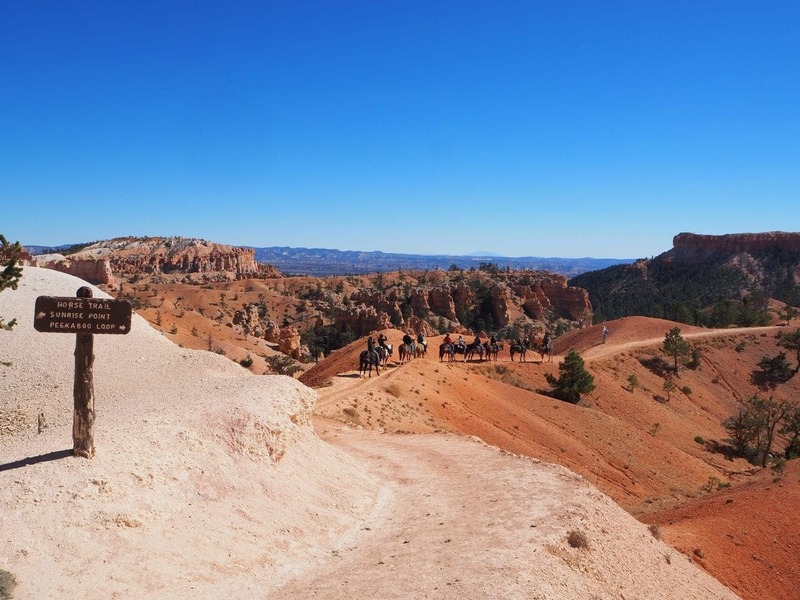 There are nearly 200 days a year where there is a freeze/thaw cycle at Bryce Canyon National Park. As the snow melts, it refreezes at night and that water can expand up to 10% within the cracks of the rock layers. CO2-fueled acid rain also aides in the erosion of the hoodoos. 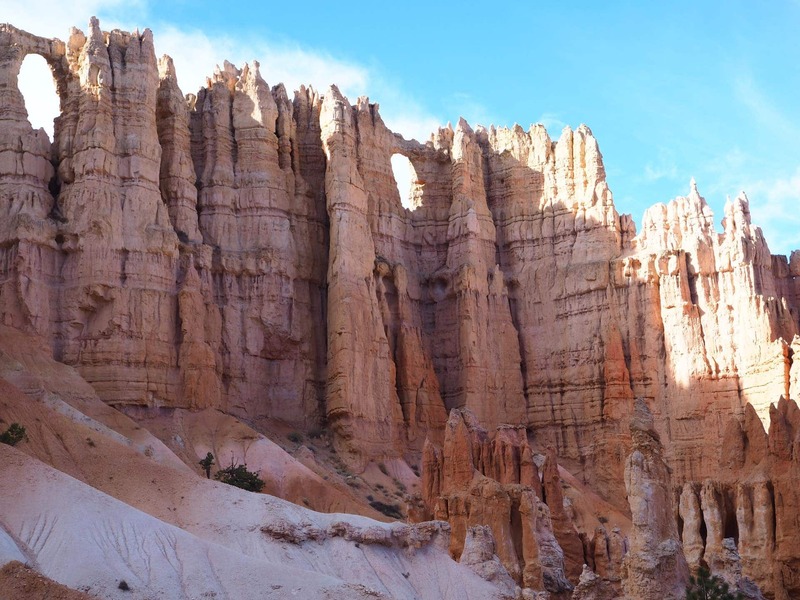 Learn more about the hoodoos at Bryce Canyon here. 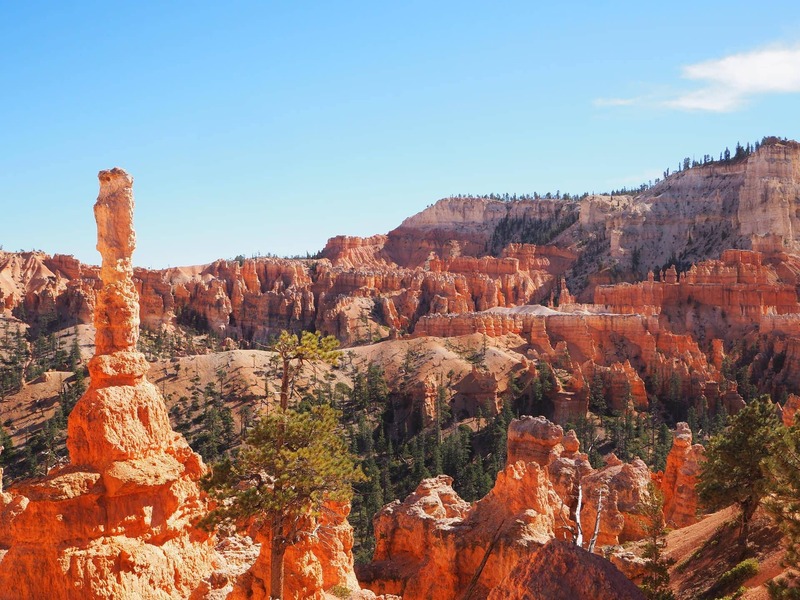 Have you been to Bryce Canyon National Park? What was your first thought seeing the amphitheater? What did you think of the hoodoos? Did you have the chance to hike?